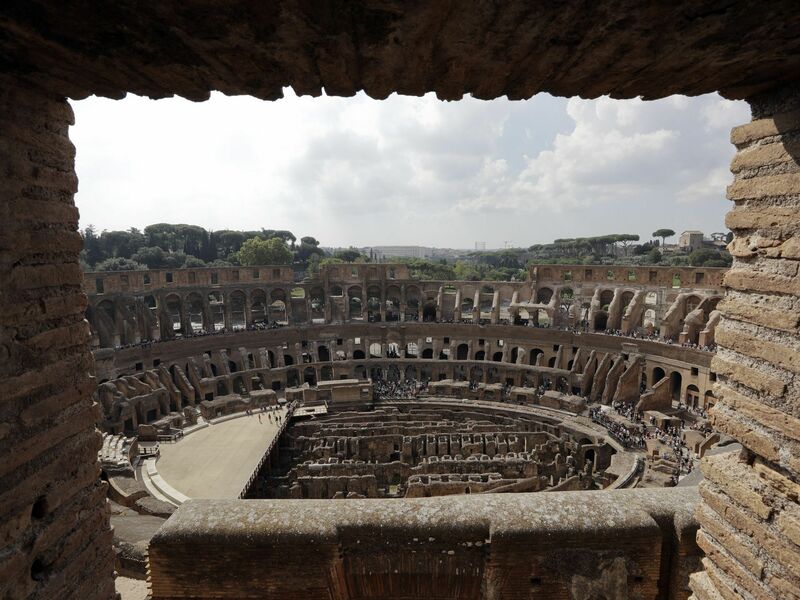 The latest phase of the Colosseum restoration has made possible the reopening of what were once its cheapest seats and are now a vertigo-inducing thrill ride with the best view in town, 40 years after they were last open to the public. Starting next month, visitors, in guided tours of no more than 25 people at a time (for their own safety), will be able to view the fourth and fifth levels and a connecting hallway that has never been open to visitors. A lucky few got to visit the newly opened floors at a press preview on October 3rd. 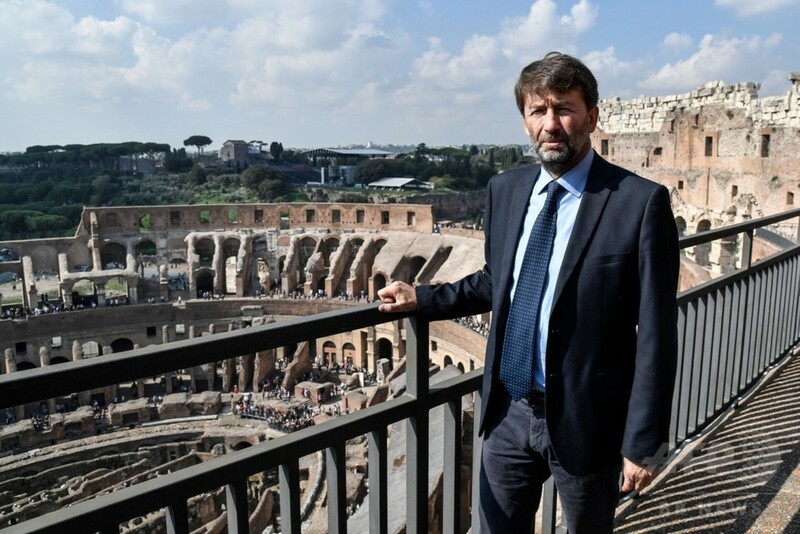 Italy’s culture minister Dario Francheschini was on hand to visit the new levels, which during ancient Roman times were the cheap seats, since they were farthest away from the spectacle. 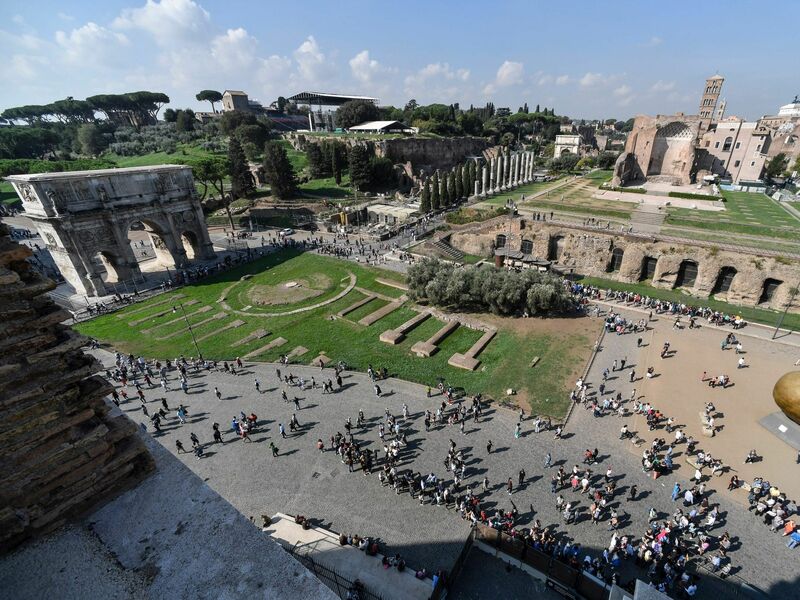 Today, however, the top two levels of the 52-metre (171-foot) high Colosseum offer priceless views of the stadium itself, as well as the nearby Roman Forum, Palatine Hill and the rest of Rome. The nosebleed seats will be open to the public come November 1st which turns out to be a bit of a bummer for me because guess where your friendly neighborhood history blogger is going. Oh, and at least I’m getting there while access to the Pantheon is still free. 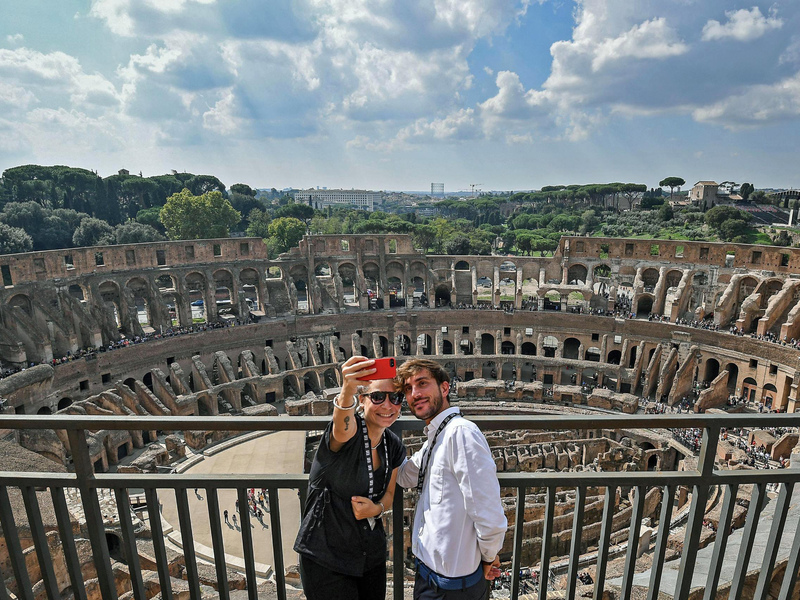 They’re planning on charging 3 euros a ticket for the most visited site in the city (an estimated 7.4 million visitors in 2016, a million more than the Colosseum) starting in January. That’s right. The mothership is calling me home. I’m flying to Rome on Saturday and will be there through next Sunday! Since my days will be crammed full of extremely nerdy pursuits, my blogging will be reduced in terms of length and depth of research, but I still hope to post daily. Due to time constraints and the potential of connectivity contretemps, it will be more of a travelogue/postcards from Rome sort of deal, which I hope will provide you some enjoyment on its own merits. My general plan will be at long last to see in person things I’ve only posted about in the past (newly opened archaeological sites, museum exhibitions, etc.) and write eye-witness updates. With pictures. Lots and lots of big pictures. All of this is hotel Wi-Fi permitting, of course, although I suppose nowadays it’s a simple matter to find free Wi-Fi out in the wild in Rome. The last time I was there you still needed a school email account and a floppy disk to use this series of tubes they call the internets. I saw a gluten-free pizzeria when I was checking out the historic center on Google Maps the other day. If there is anywhere in the world where you feel the passage of time more keenly than Rome, I don’t know of it. I shall wallow in it. This entry was posted on Friday, October 13th, 2017 at 11:20 PM	and is filed under Ancient, Ex Cathedra, Roma, Caput Mundi. You can follow any responses to this entry through the RSS 2.0 feed. You can skip to the end and leave a response. Pinging is currently not allowed. I was going to recommend that you visit the Museum of Roman Civilization but its website says that it is closed for renovations. Grr No estimate of any reopening date. Some of my favorite exhibits are the 1:250 scale model of Rome during the Age of Constantine and the unwound castings of Trajan’s Column. If you of anyone else get there when it is open I very highly recommend it. You will see things there that you will not see anywhere else. ‘Urbem venalem et mature perituram, si emptorem invenerit’ ? Well, if necessary, and very much in contrast to some rather clownish official attorneys -i.e. with state of the art Roman legal bravura- I would plead in court for my own ‘damnatio ad bestias’. Like this ‘Foreigner with doubtful reputation’ has done (pp.31) – As we keep the lions happy, please make sure that you keep on posting. PS: Just in case anyone would know how to bring the ‘Noscript’ button back on in FF56 (it dissapeared this morning after the latest NS update) – Please let me know – ‘Ad bestias!’ … Ok, said that already. Enjoy your trip and take lots of photos! Can’t wait to see what you post. Oh I can’t wait to be an armchair visitor with you to Rome! I hope you will surprise us with some other delights outside of the city too. Have a great time! Have fun Livius. I am just back from Rome after a week there. If you are not already going you MUST go to Domus Aurea. We had a spectacular guided tour and they are now using virtual reality glasses to bring parts of it to life. Only open at the weekends and pre-booked but well worth it. How wonderful for you! I am envious. 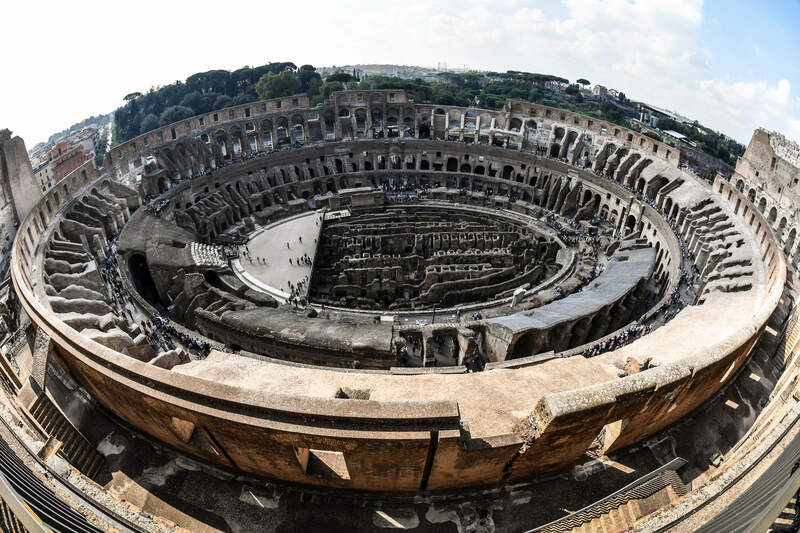 Will you be visiting any of the “Underground” Rome sites? I am a first time visitor to Europe and finding the pathetic hotel internet maddening. You may have to use your cell phone as a hotspot and expect your data usage to skyrocket! Yay! Have a brilliant journey!